Cakes Tarts & Arts - Varieties of customized cakes, wedding and birthday cakes with well-organized home delivery service in Dubai. Varieties of customized cakes, wedding and birthday cakes with well-organized home delivery service in Dubai. 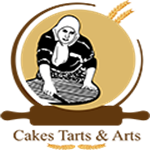 Cakes Tarts and Arts Tour Operator by Rara Theme. Powered by WordPress .